Ahhh the Dole Whip. 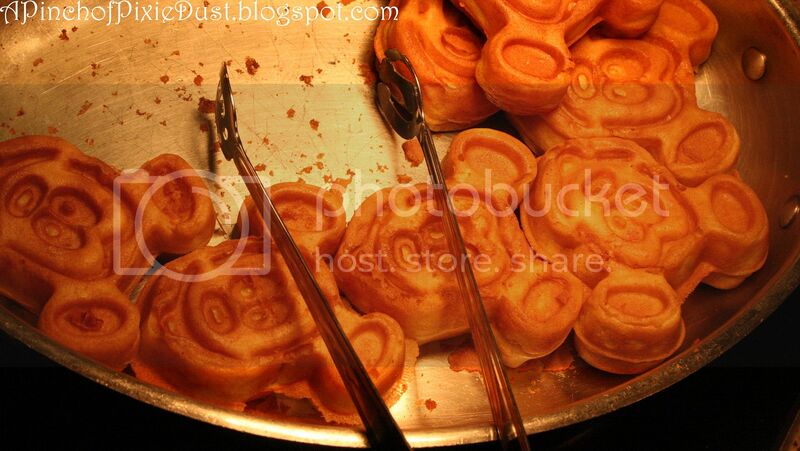 A classic sweet treat among Disney fans everywhere. But what if I told you that I am a new convert to the Dole Whip?! Shock, awe, I know! For some reason, the pineapple never really appealed to me and I always walked past Aloha Isle, clearly not knowing what I was missing. 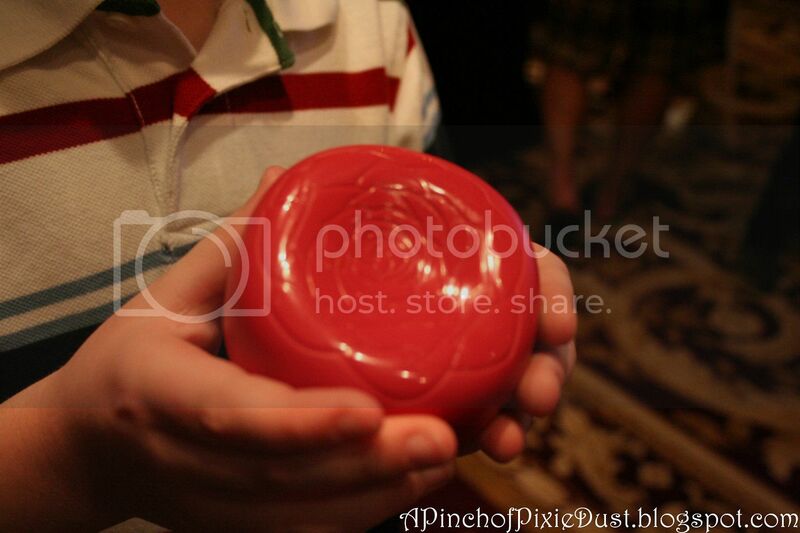 I had my first one in 2010 at Mickey’s Not So Scary Halloween Party. I opted for the vanilla swirl since I was still a bit skeptical about the pineapple and I was hooked! This is one of those cases of when you fall, you fall hard. The fun thing about getting it at the Halloween party is that the vanilla ice cream is colored green! The great thing about the Dole Whip is that it comes in many different varieties. Besides the swirl, you have the basic Dole Whip. The Spiked Dole Whip topped with dark rum that debuted at the 2013 Flower & Garden Festival. And now my personal favorite, the Dole Whip Float! This is Dole Pineapple Juice topped with a Dole Whip…apparently I’m in love with pineapple and didn’t know it. Another great thing about Dole Whips is that they are both gluten AND dairy-free, making them the perfect sweet treats for those with any allergy issues. While the lines are often long to get a Dole Whip in the parks, it’s definitely worth the wait. 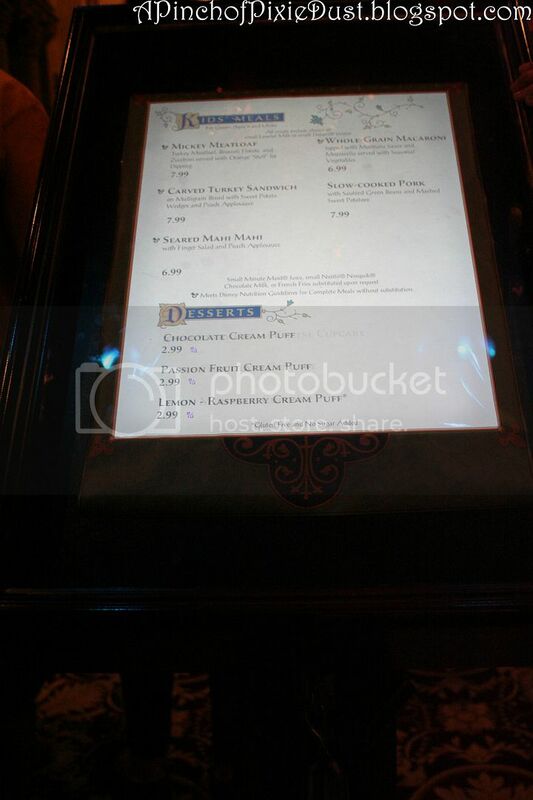 If you don’t want to wait in line or aren’t planning on going to the Magic Kingdom, head on over to Captain Cooks at the Polynesian Resort where you can actually serve yourself! 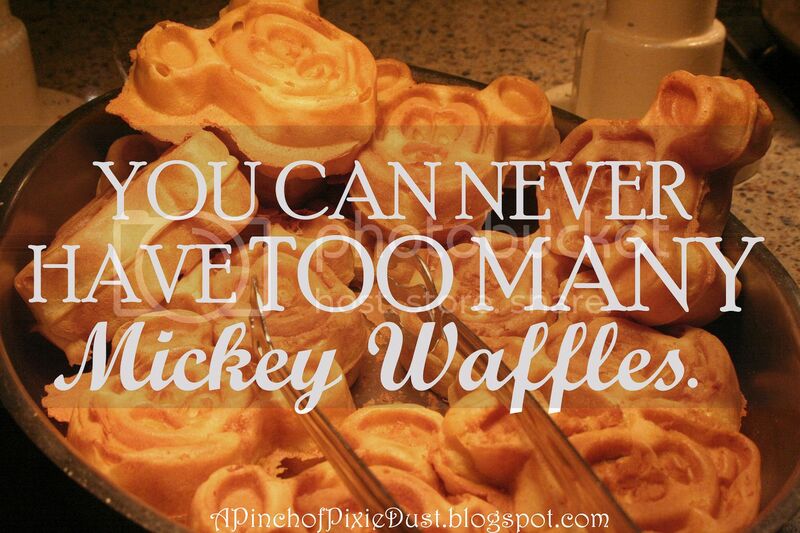 Dole Whips have definitely become my favorite sweet treat in Walt Disney World. Dare I say they are better than a Mickey Bar?!? 1. 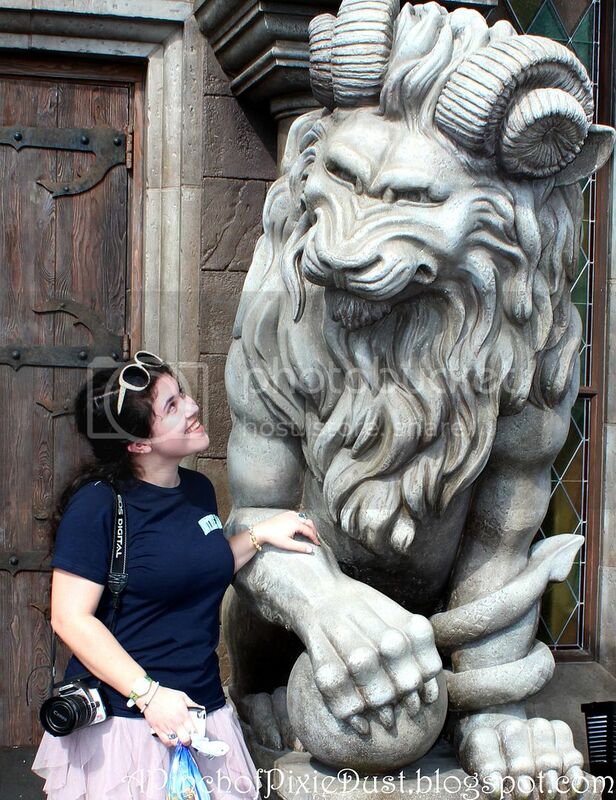 Since I didn't get to doing my usual Europe post this week (don't worry - next week! promise! ), here is some fabulousness from Paris on the Anthro Blog! 2. HAVE YOU HEARD??? 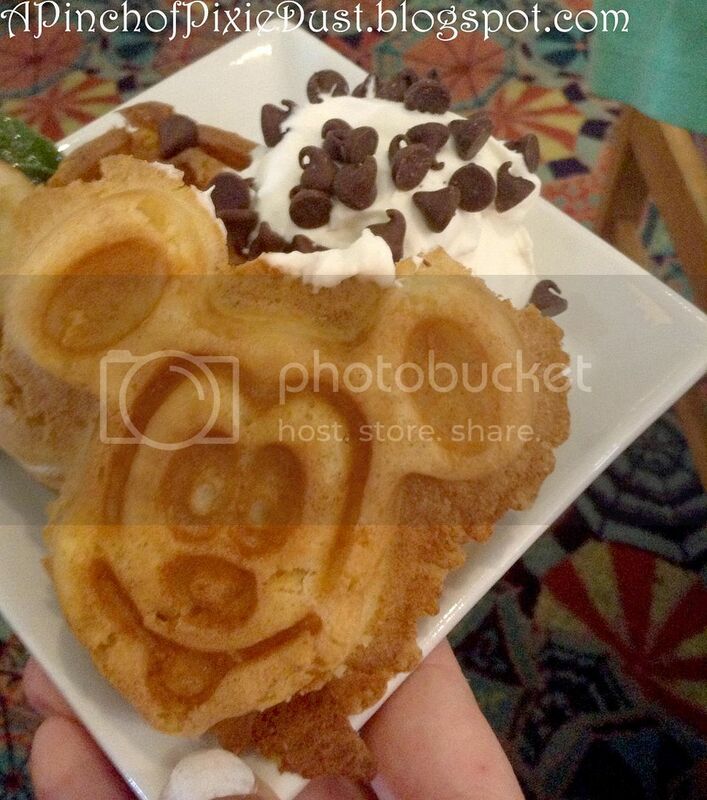 They've added a grey stuff CUPCAKE to the Be Our Guest restaurant lunch menu. 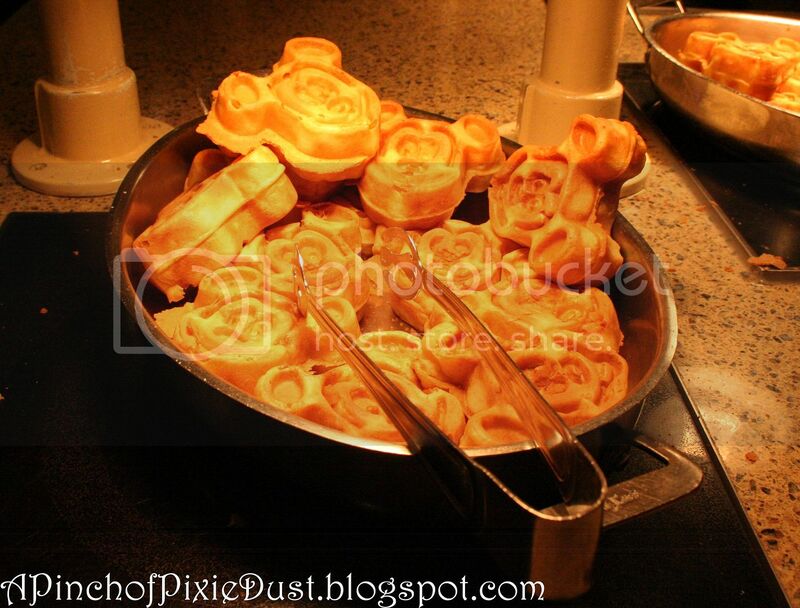 The Disney Food Blog has pics. I SO can't wait to try that! 3. If you need a laugh and have not yet seen the 'What Does the Fox Say' video, you should watch it. Like now. The sounds are hilarious. 4. My brothers are the Pokemon fans more than I am, but these Disney-and-Pokemon-universes collide drawings are just too cute! 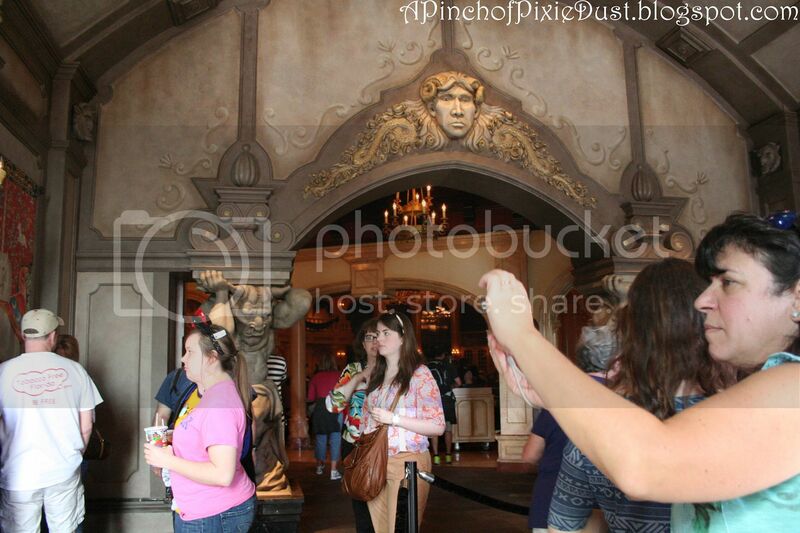 Ariel's like, "What's a Magikarp??" 5. Running at Disney has lots of fun photos from the release party of the new Disney Vera Bradley collection. So cute! 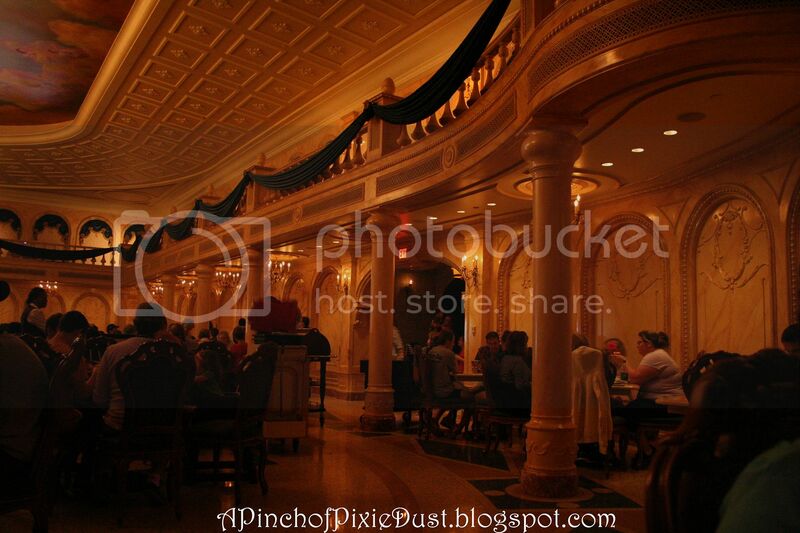 Did you catch all this week's pixie dust?? 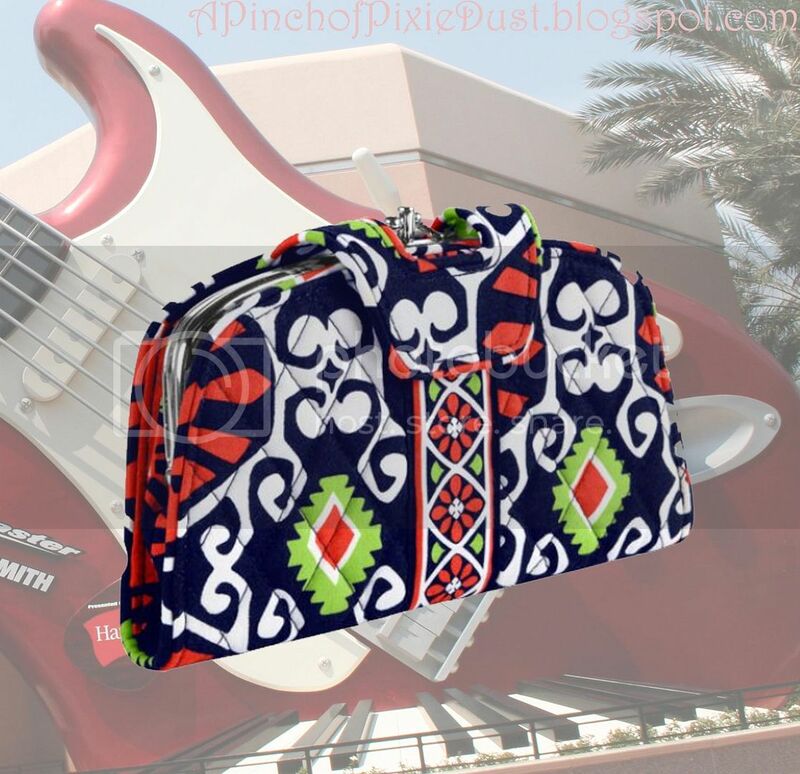 The new Disney Vera Bradley collection debuted at Downtown Disney recently, and already I'm planning which pattern and style I'm going to pick up the next time I'm down at Disney World - they're so cute! While I absolutely LOVE that Mickey and Minnie are in the new designs, I was thinking...Vera Bradley patterns in general are ideally suited to go with a Disney vacation wardrobe. I have loved VB bags for years, and I've taken many of them to WDW. They're so cheerful and colorful, and just browsing the Vera Bradley website makes me start dreaming of where I would take different ones. 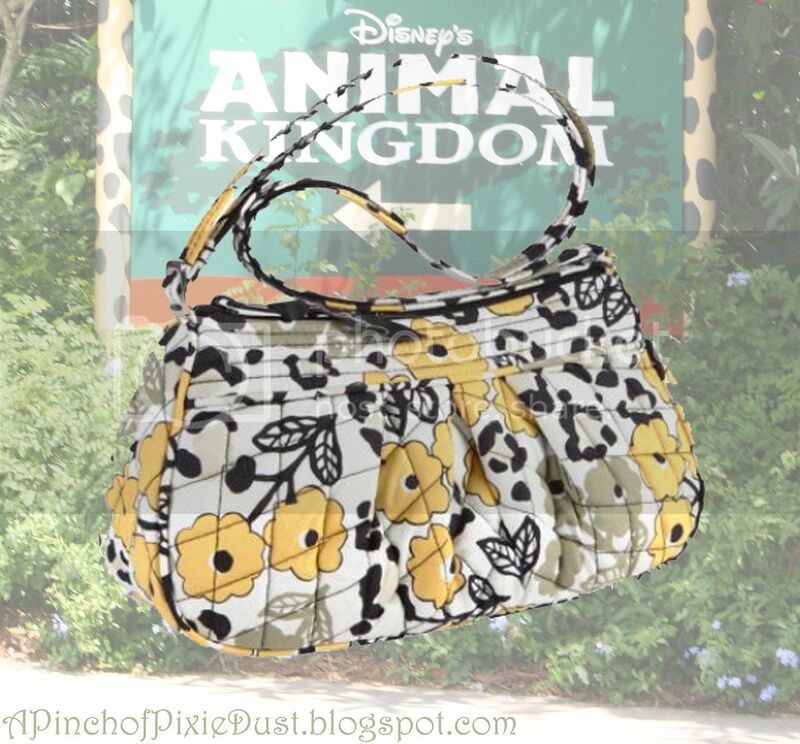 When I visit the Animal Kingdom, I always want to dress for the jungle with some animal print -- but I still want to use my wardrobe and accessories in real life too, so I don't want to go too over the top. Vera Bradley's Go Wild pattern fits the bill perfectly! It's got the fun leopard spots, and I love how they're layered together with the more feminine details - the flowers and leaves. 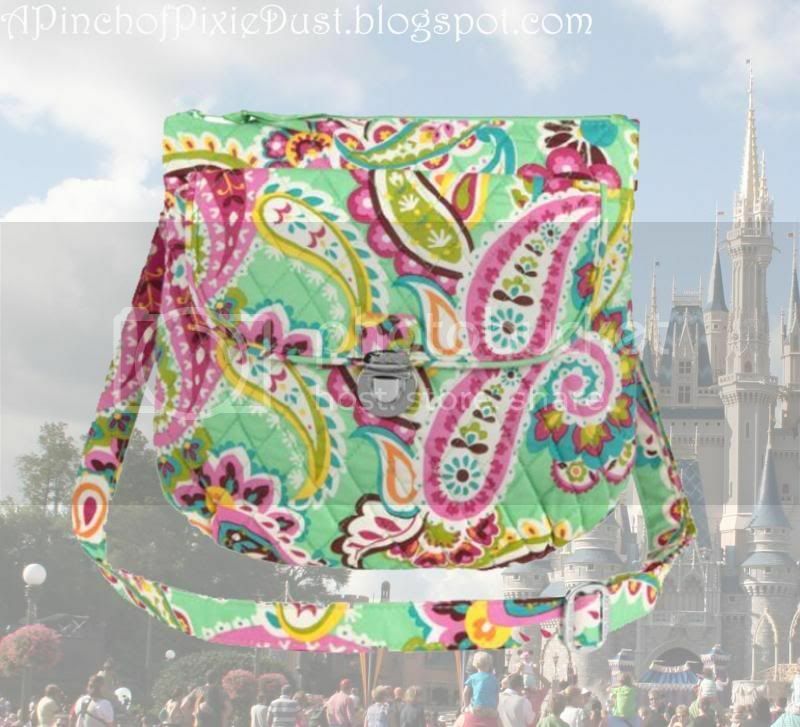 I'm also a big fan of the Frannie bag for the parks - it's small and easy to carry around, but still has enough room for phone, camera, wallet, and trading pins! The only bad thing about the Frannie is that you would have to take it through the bag check line when you enter the park. So for a lighter park day when I wanted to skip the line, I'd go with a fabulous wallet like the Kiss n Snap. Especially in the Sun Valley print, I feel like it's got a great vintage, edgy vibe that would fit right in at Hollywood Studios! 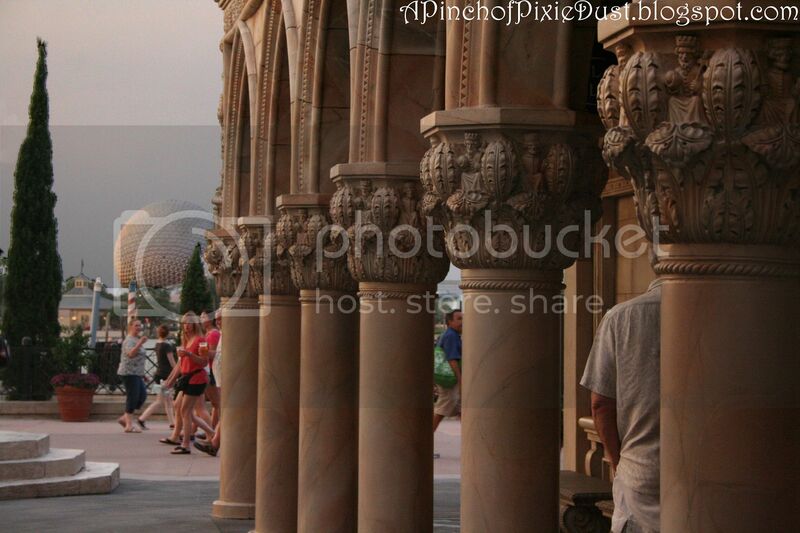 If I was headed to Epcot for an evening on the town - or rather, around the world! - I would go with this dream of a little purse. The Mini Frame Crossbody Bag is so sweet, and the Canterberry Cobalt is definitely sophisticated enough for an international adventure. But it's fun too with the bursts of bright blue - they mirror the bright lights of Future World and Illuminations against the night sky! This bag is so on my Christmas list! 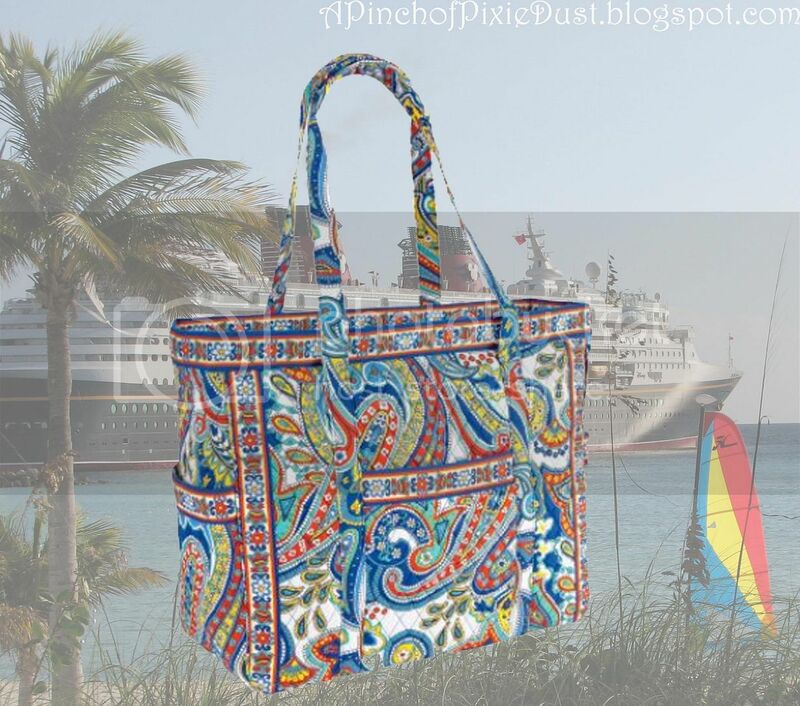 This isn't for a Disney World park, but just looking at the Marina Paisley pattern is enough to make me want to go on a Disney cruise!! Can't you just see the Get Carried Away tote packed with beach towels for a day on the beach at Castaway Cay?? OF COURSE I couldn't leave out the Magic Kingdom! If all my excitement and happiness at a Disney arrival could be translated into colors and shapes, I'm pretty sure the result would be the tutti frutti pattern. The brilliantly bright, candy-colored hues echo all the energy in the park! The saddle hipster looks like it would be another great style for a park day, combining fashion and functionality. 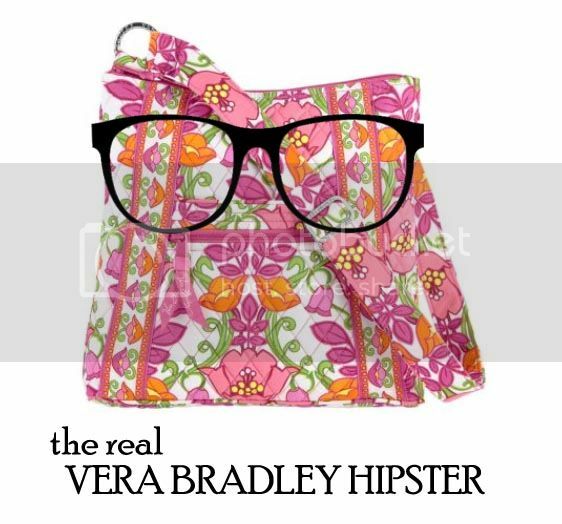 Although, I just have to say, the hipster bags at Vera Bradley kinda make me crack up, because I always picture hipsters using them! I'm pretty sure that Vera Bradley made hipster purses before hipster hipsters were a thing, but still. 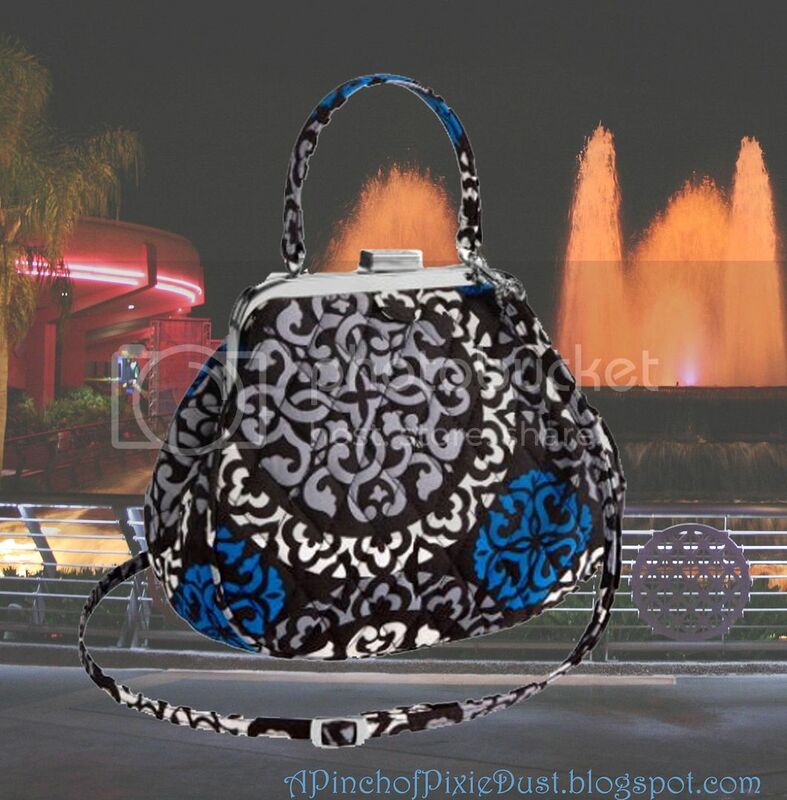 So which Vera Bradley pattern/purse would YOU guys chose for your Disney World days? Post your picks in the comments - I'd love to hear! 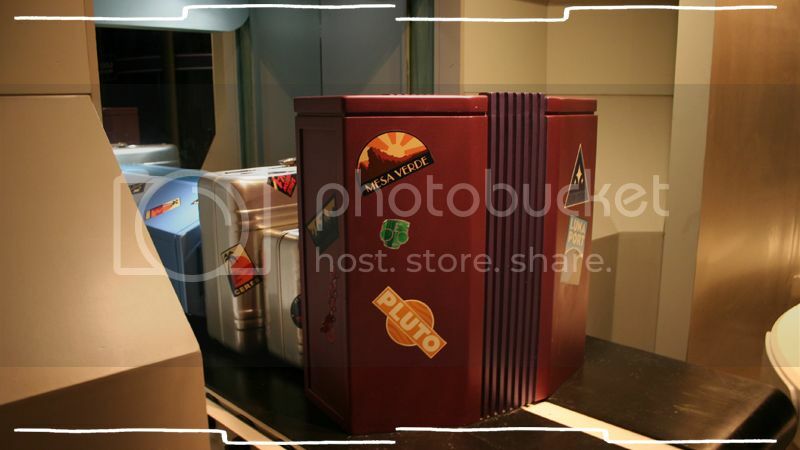 This is one of the items to find in the Tomorrowland Scavenger Hunt (there are a dozen different hunts for different parts of the MK in the book!). So you've got a hint about the whereabouts, but I want to know specifically. Have you seen this luggage lying around? Looks like that traveler has been all over the galaxy! 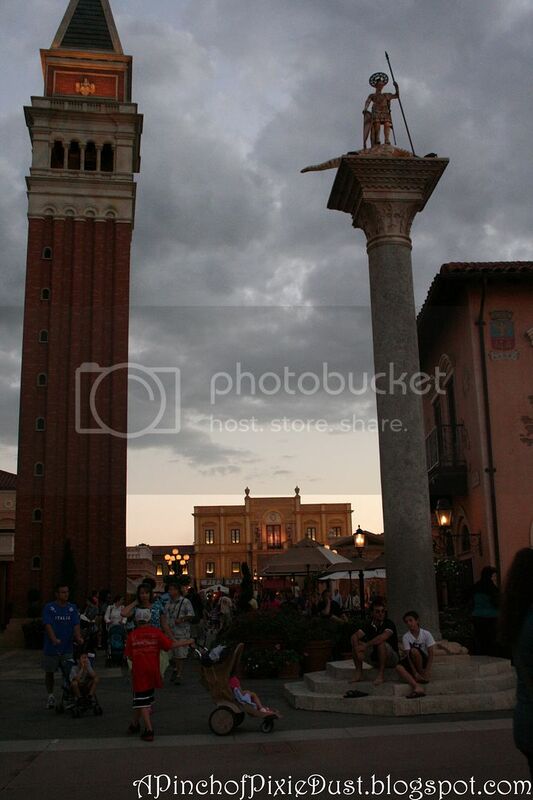 As for the answer to last week's photo - that lovely lamp can be found in the Italy pavilion at Epcot! 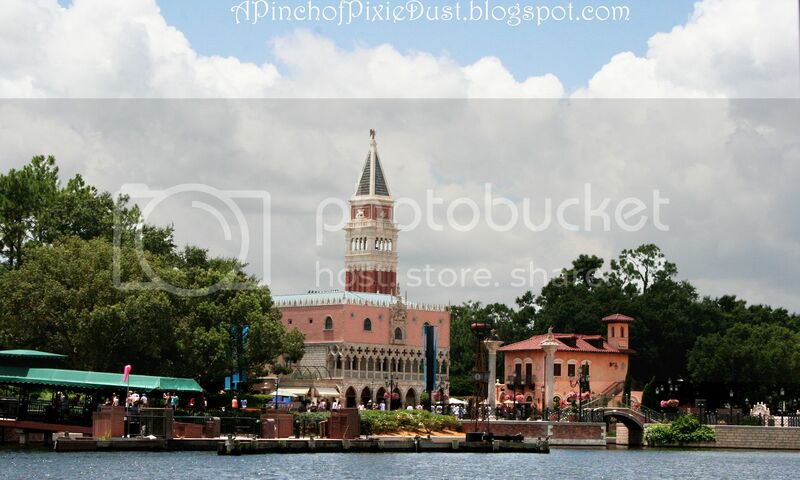 In the bottom right of the pic, next to the rooftop, you'll notice a little statue of St. Mark. 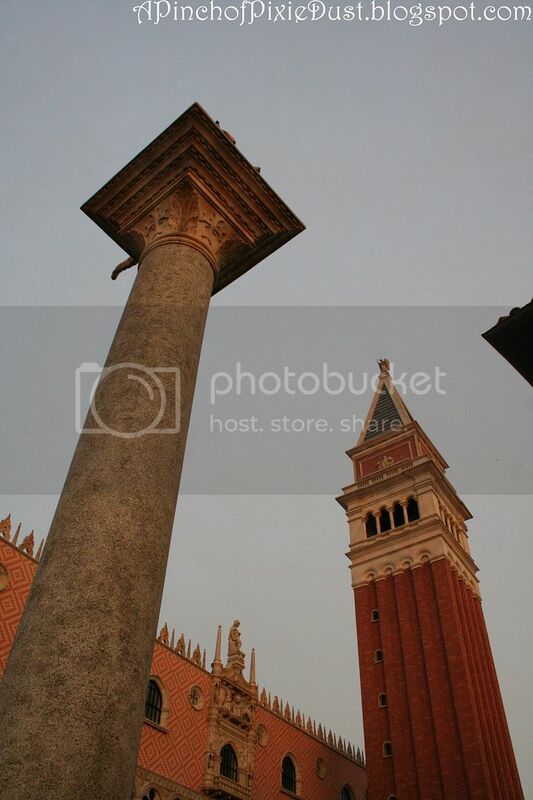 He's standing on top of one of the pillars at the entry to the pavilion, just like in St. Mark's Square in Venice! 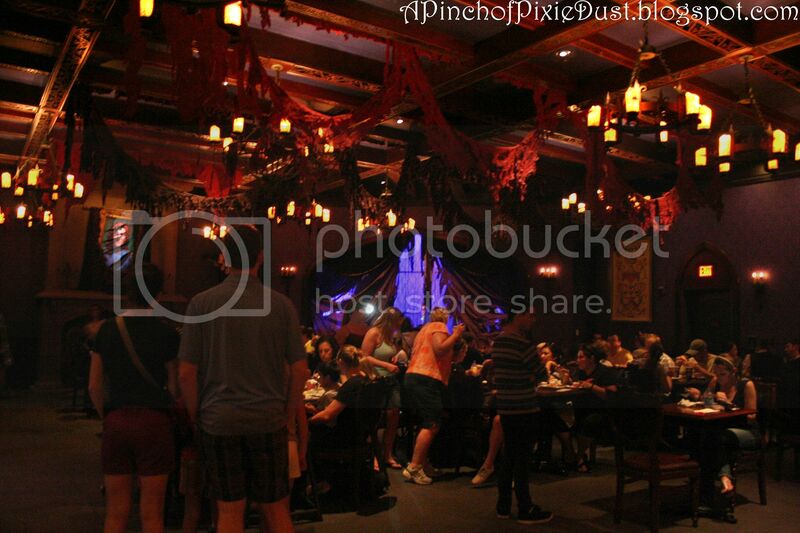 Remember awhile ago when I posted about the Pirates League and the awesome Mermaid Makeover they do there? Well, I've been thinking about what a gorgeous look it is and how fun it would be to recreate it on your own. Especially with Halloween coming up, it would be such a unique and striking look to use with a costume! 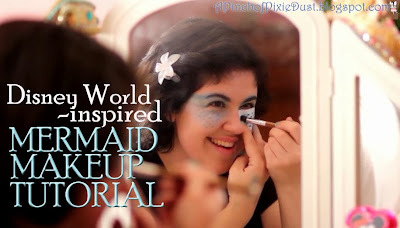 You could wear a very understated mermaid outfit with this makeup, and it would still completely transform you - it's so dramatic. So I decided to try my hand at my own mermaid makeup! I made my own fish scale stencil for the cheeks (I'll be posting a scan of it on here very soon! ), and I used the Pirates League transformation as my inspiration. I know mermaids in the Pirates of the Caribbean Universe are supposed to be evil, but as soon as I hear "mermaid," I think of Ariel and all her nice friends. So I couldn't resist throwing in some Under the Sea style into the video! What do you guys think? Would you become a mermaid for Halloween? Is it not a BEAUTIFUL sight when you're crossing the lagoon in a friendship and see that pretty pavilion before your eyes? 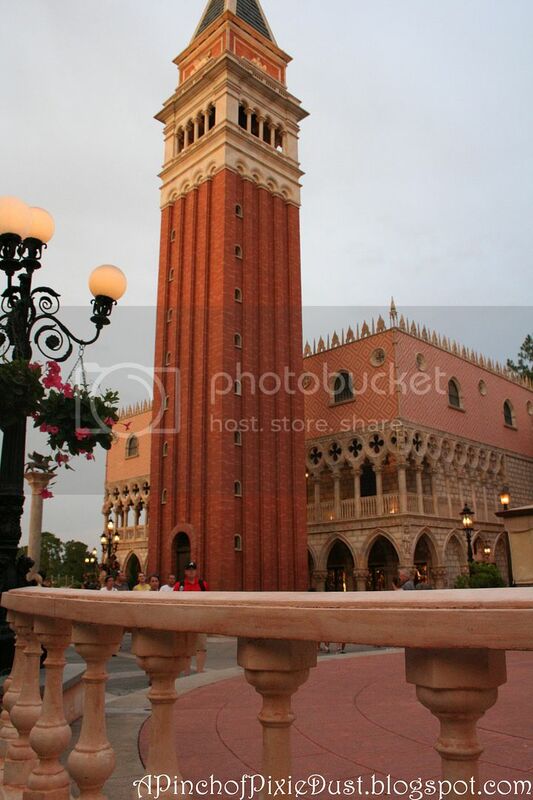 The Campanile di San Marco looks striking from every angle - I can never seem to stop taking pictures in the Italy pavilion! 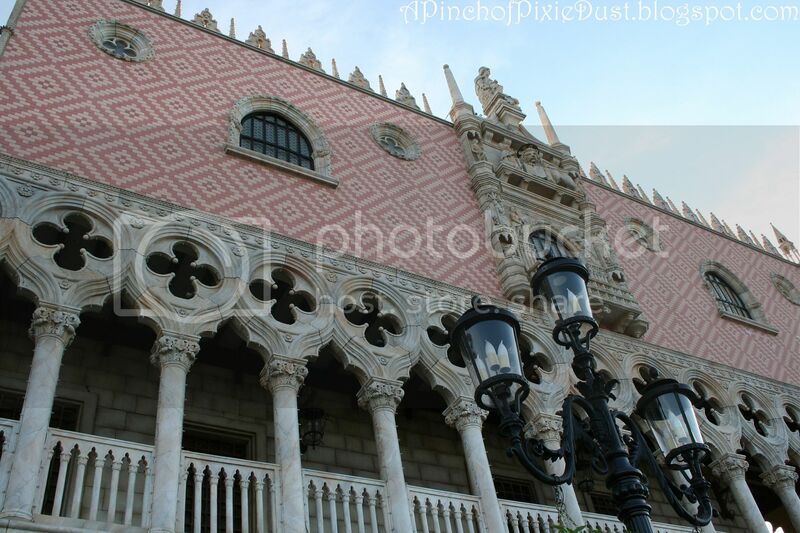 ...then of course there's the Doge's Palace with its wonderfully PINK tiles. 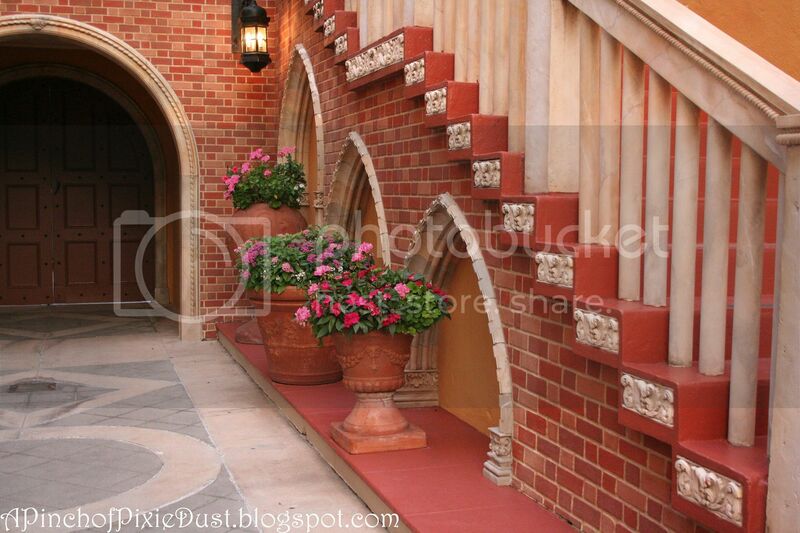 As you wander you'll find so much to look at, so many hidden corners and interesting little areas. 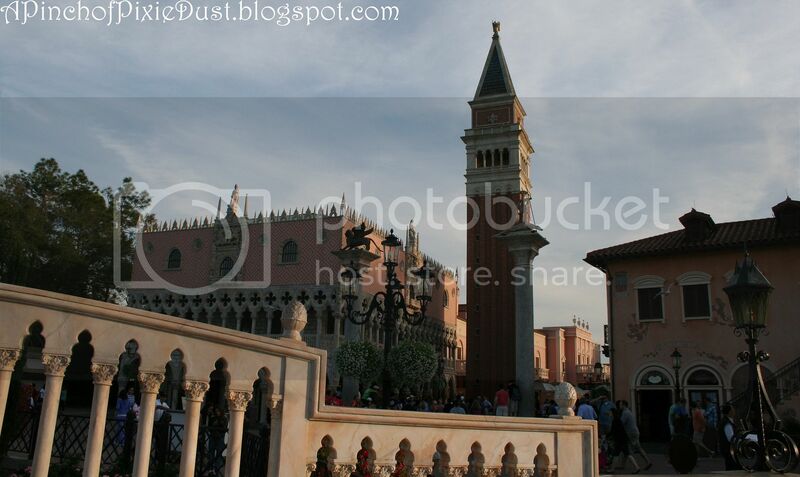 The Italy Pavilion is another one of those areas, like Be Our Guest restaurant, where - if I were rich - I would hire out the whole area and have some truly fabulous party! 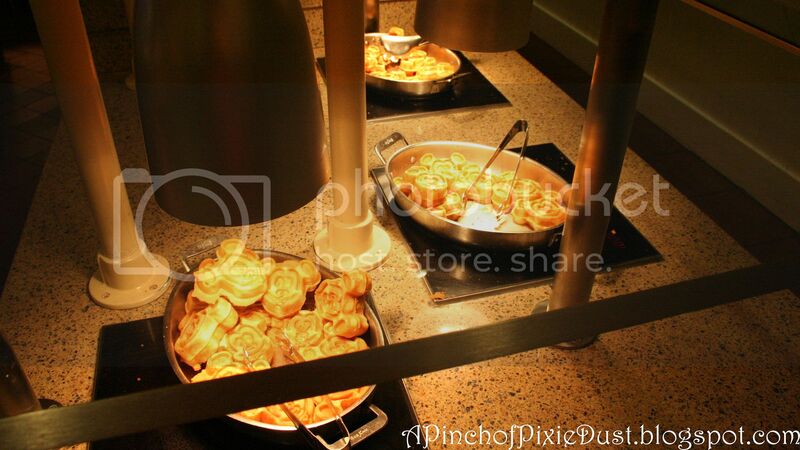 OHMYGOSH - just imagine it: VIA NAPOLI could do the catering!! Ahhhh...if only! 1. 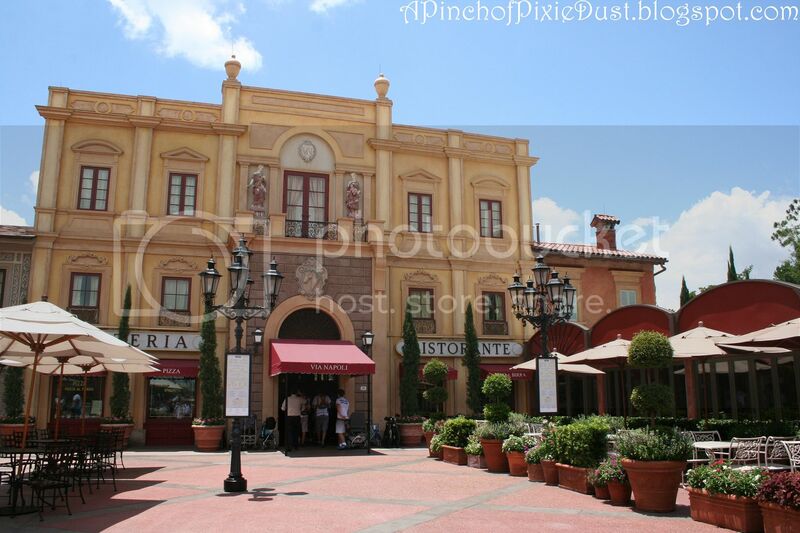 Epcot's Food and Wine Festival starts next week! I wish I could plan an impromptu trip JUST so I could try this banoffee tart at the new Scotland Marketplace! Although, I kinda feel like banoffee belongs more at the Ireland booth. When I studied in Dublin, I spotted banoffe (that magical combination of banana, toffee, and hopefully a little chocolate) EVERYWHERE. 2. 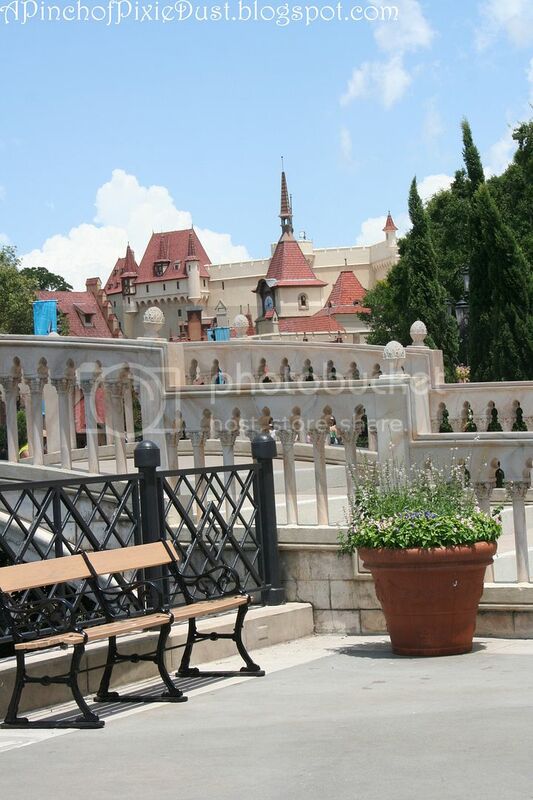 Speaking of Epcot, I put up an update on my trip report earlier this week with lots of World Showcase wanderings, including some Impressions de France love (ALWAYS) and Mitsukoshi merchandise (love that place!). 3. You know those funny commercials for Ocean Spray with the two guys in the cranberry bog? I LOVE those commercials - they never fail to make me smile. Well those guys WENT TO DISNEY WORLD, and you can follow their adventures on the Craisins website! 4. If you need some extra smile in your Friday, just watch this Magic Kingdom 'magical mashup.' It's a little strange how they remixed the voices, but I think it totally works. 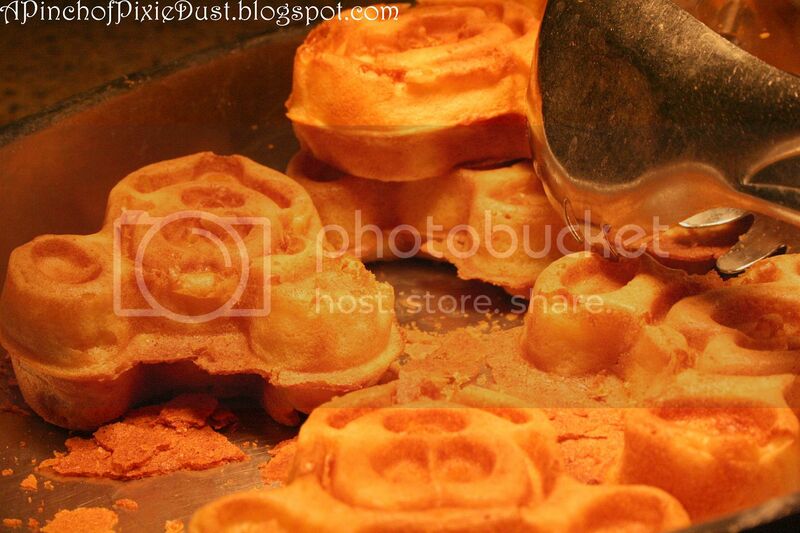 Did you catch all this week's pixie dust? I hope everybody had a lovely Wednesday! 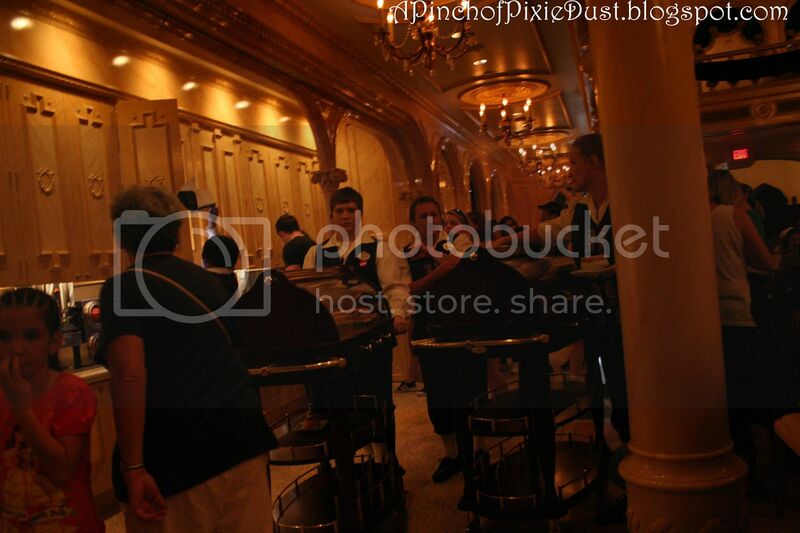 I've got a new photo to test your WDW knowledge. Are you ready?? 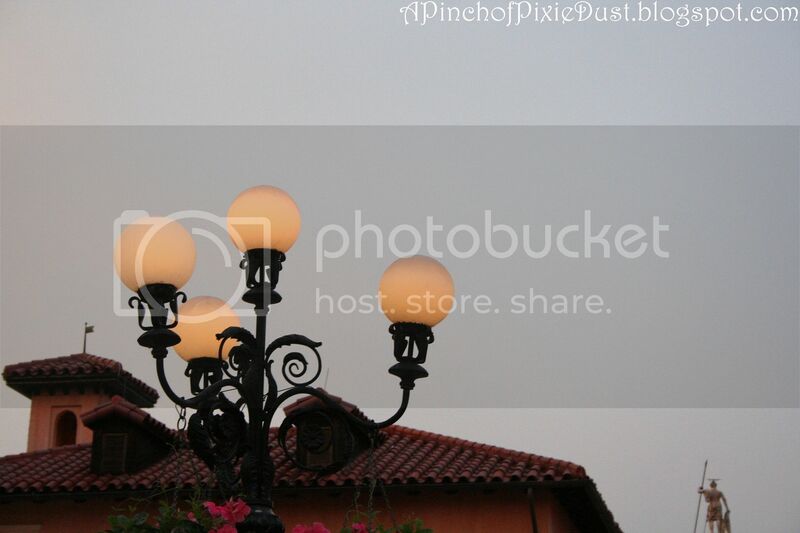 There are so many lovely streetlamps and lights at Disney, and this is certainly one of them! Do you know where to find it? Hint: there's one tiny thing in that photo that totally gives it away! 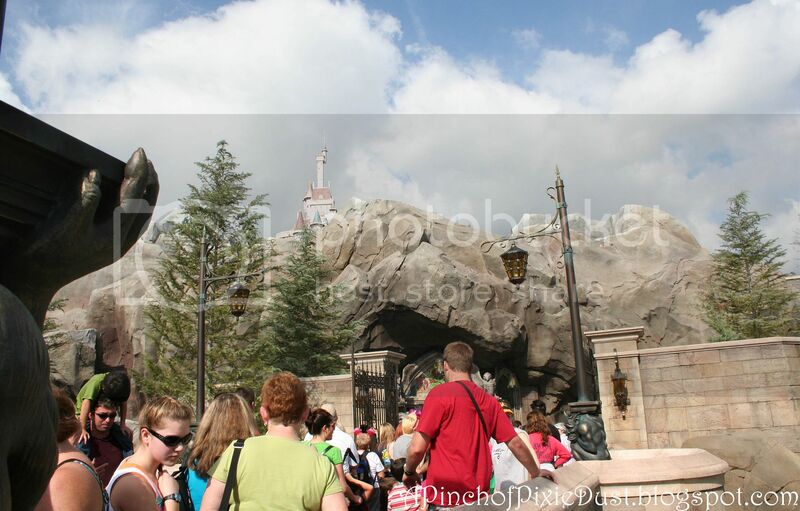 We've done a lot of exploring in New Fantasyland on A Pinch of Pixie Dust. We've admired the gates. We've been to Belle's Village. We've journeyed under the sea with Ariel. 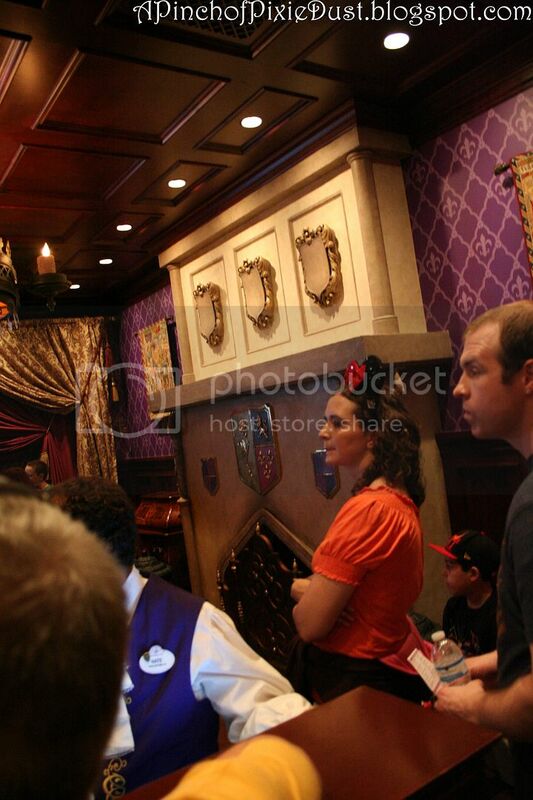 We've visited Maurice's Cottage for Enchanted Tales with Belle. 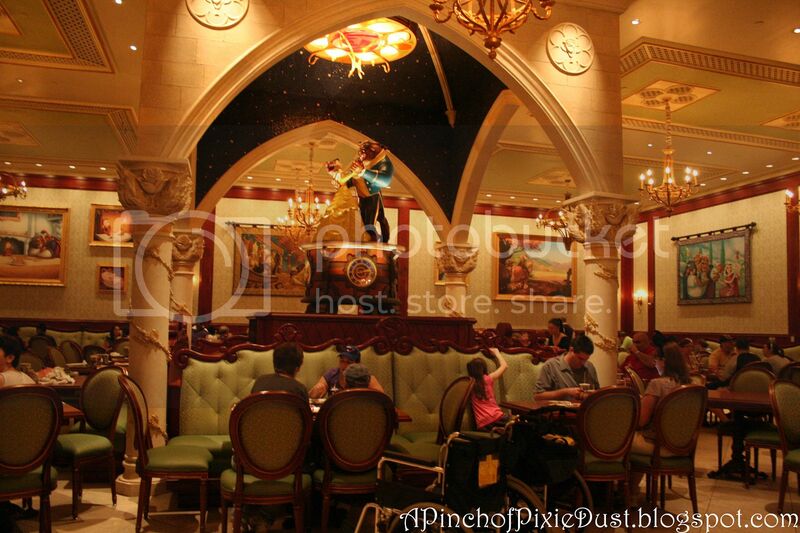 But we have not, as of yet, been to the Beast's Castle and Be Our Guest restaurant! I KNOW - I can hardly believe it either! I think we'd better fix this right away, don't you?? 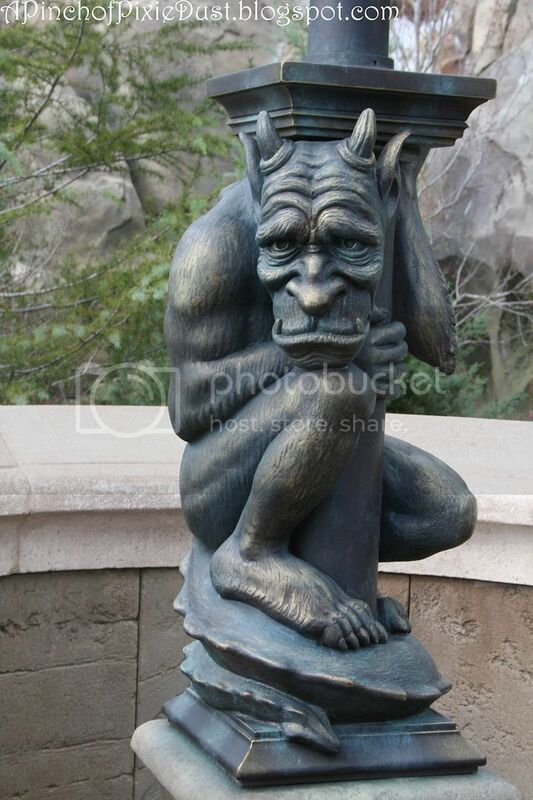 You will almost certainly find yourself waiting in line on the bridge before you can actually get into Be Our Guest. We went to lunch on a busy, just-after-New-Years day, but the line did move pretty swiftly. 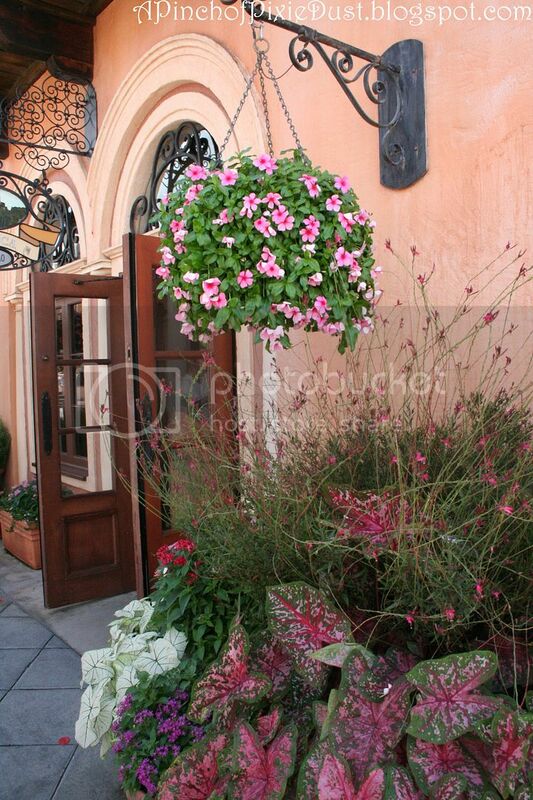 The castle is pretty, and there are plenty of tables! This is the sign that greets you as you enter the bridge! 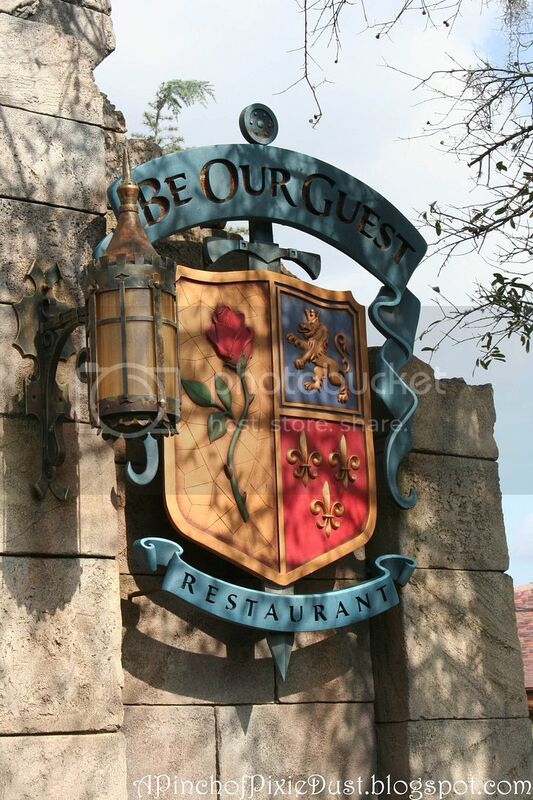 I noticed that crest/shield with the rose, the lion, and the fleur de lis all over the restaurant. 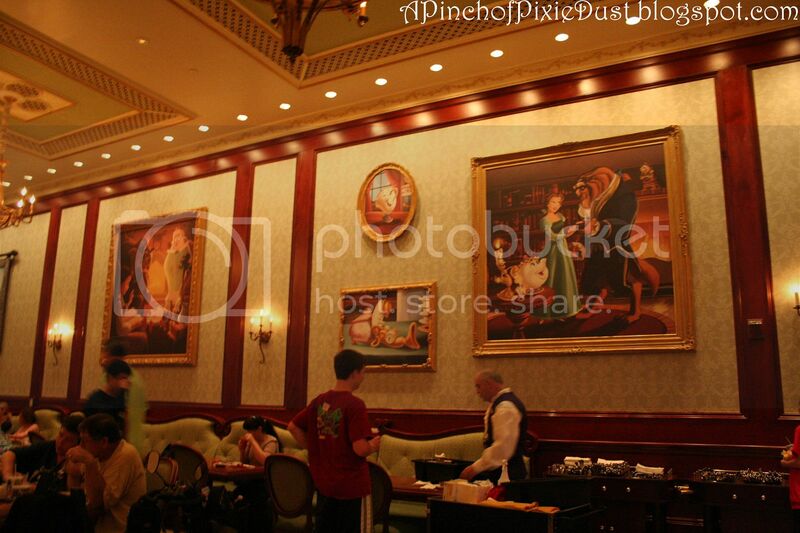 The next time I watch the movie I want to notice if it's in there - because they used it a lot in the décor! 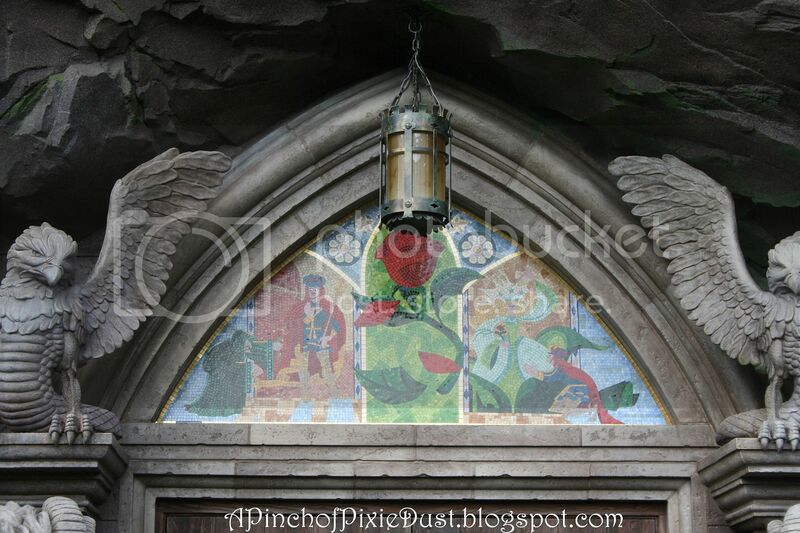 ...though I do like the mosaic over the door! 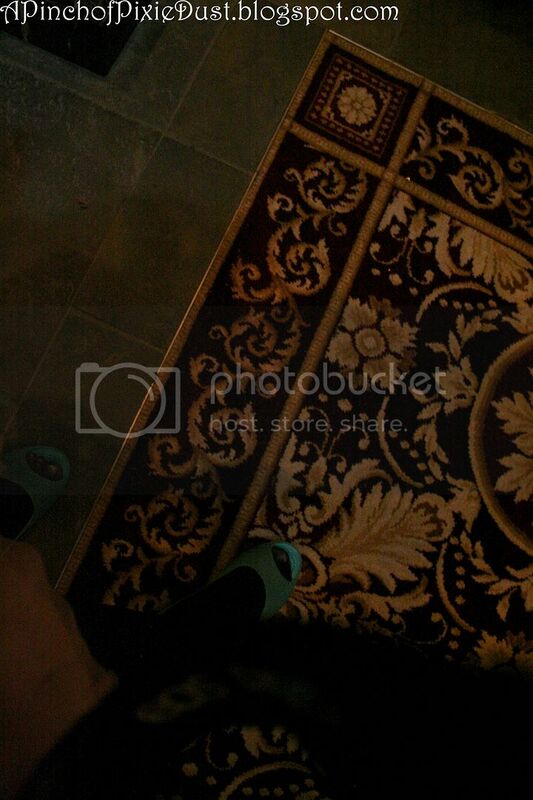 What you'll see when you first step inside. Wonder what that lady is taking a photo of? 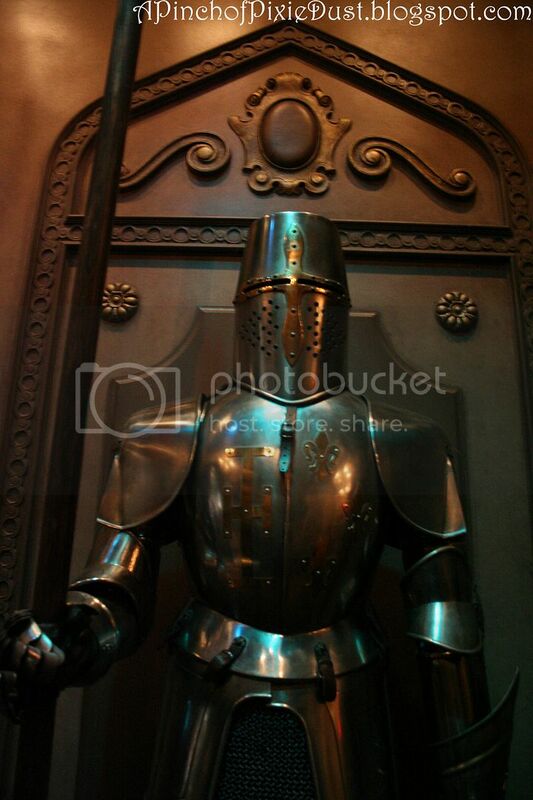 ...down a very medieval-looking hallway! 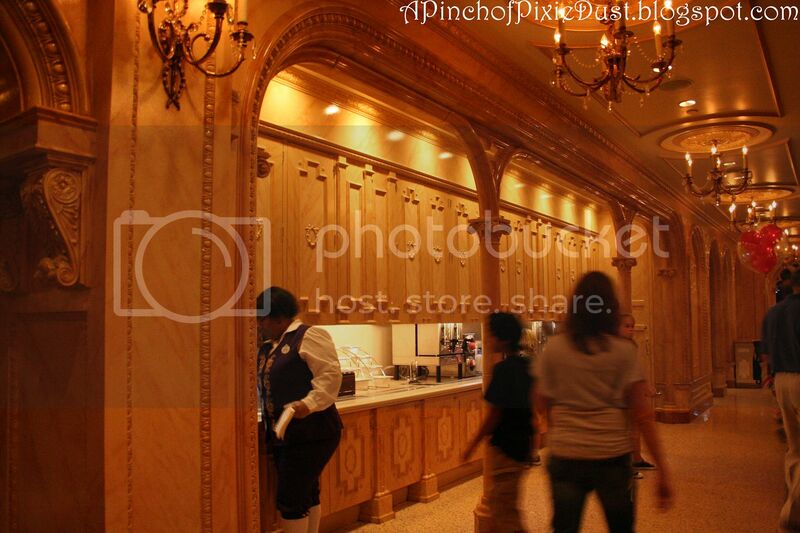 Soon you'll reach the room where you order! It's draped in sumptuous purple and mauve and gold. 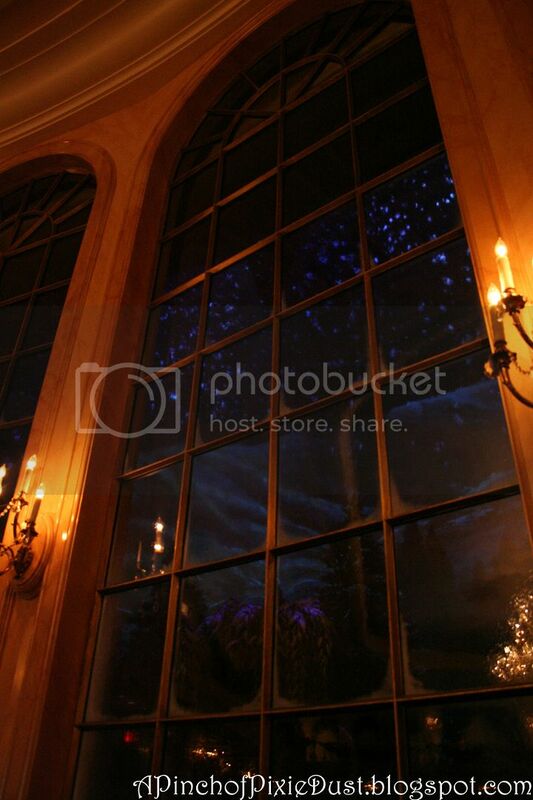 I love the fireplace in here - and is it just me, or does that look like it must be the Beast's chair?? This is when you'll get the magical rose! 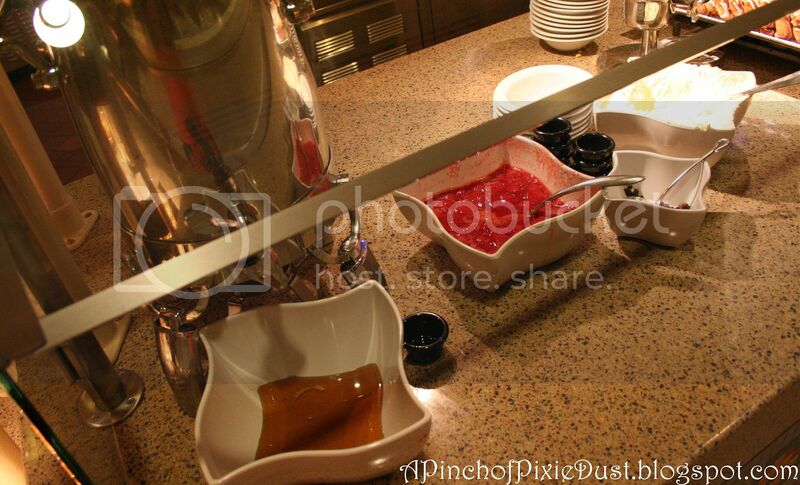 You'll take it to one of several ordering stations around the room. 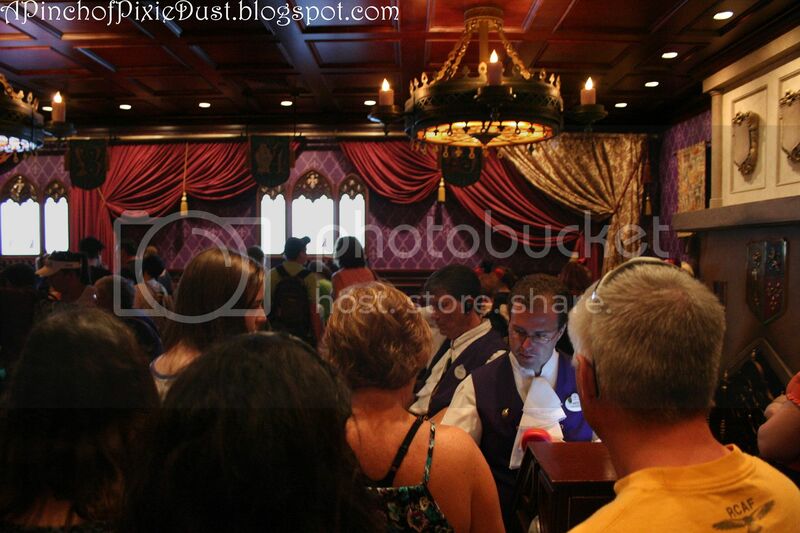 Some are self-serve and some have cast members that you order from. All of the stations are numbered, and many of them have corresponding characters as well! 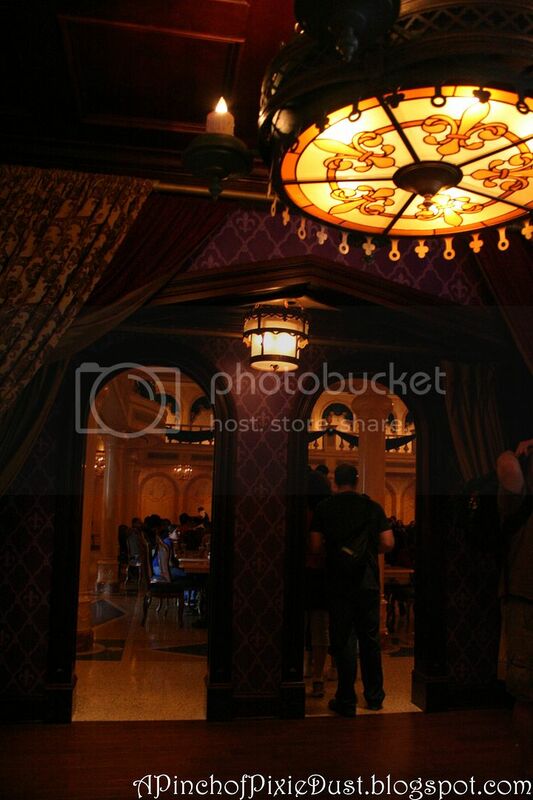 The décor in the ballroom is very refined, but as in Belle's village and at Enchanted Tales, some elements felt a little...generic. I'm not really sure why. 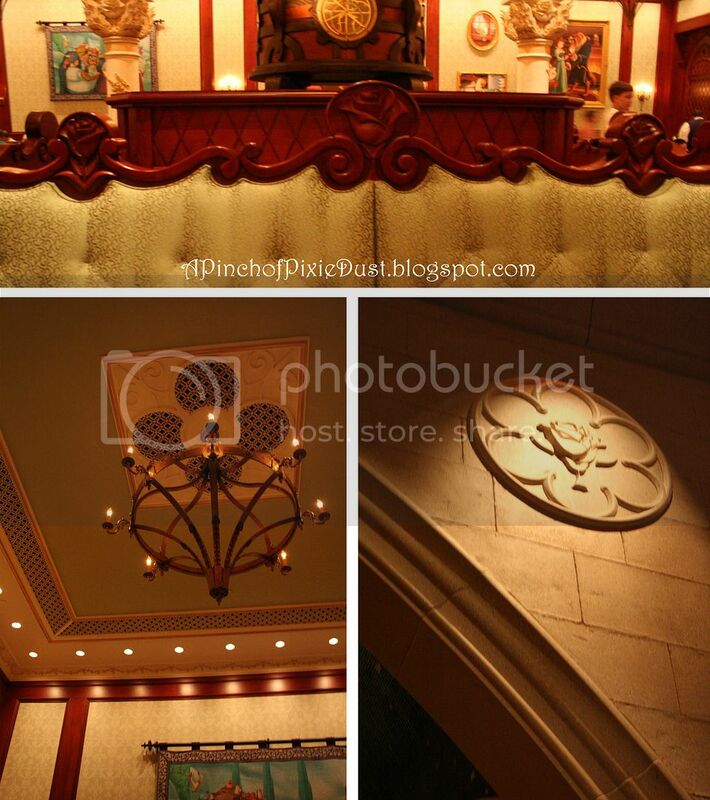 It's a gorgeous space as a whole, but I feel like when you look at individual elements more closely, you should find that Disney-something-special. And somehow I didn't. 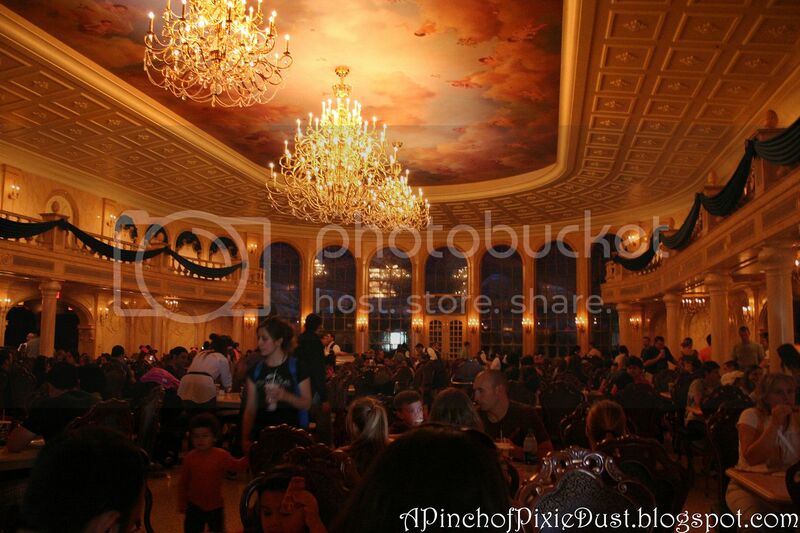 But I did love sitting in the ballroom because...well...IT'S THE BALLROOM! I do have to second the opinion you'll find a lot on the internet: it was quite dark and VERY loud and crowded. 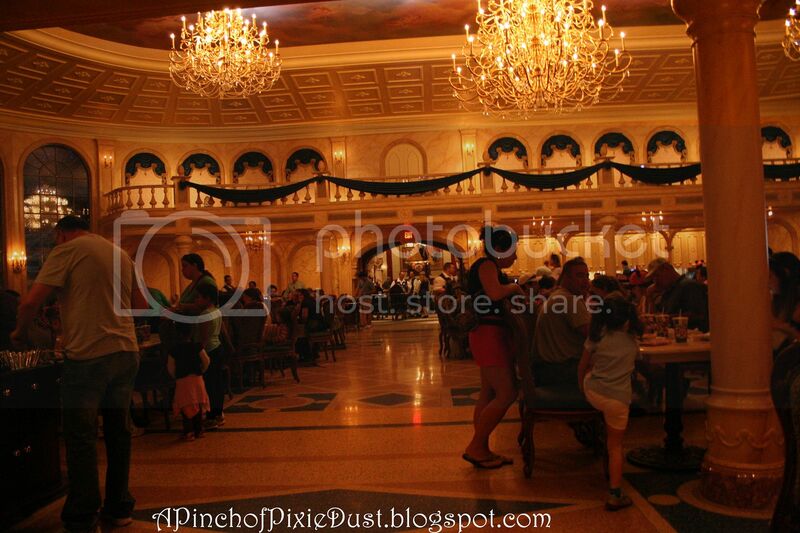 I know they want to fit as many guests as possible in, but this would be a more magical experience if they took out just a few tables. 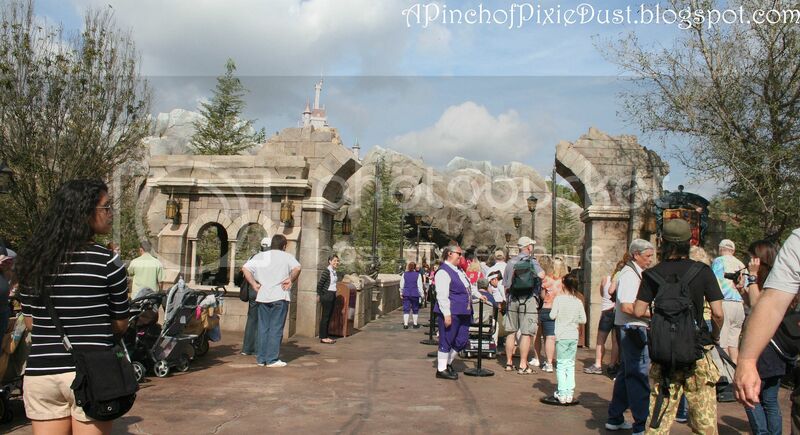 I think the cast members would like a more open space better too, because it would be easier to maneuver the carts! 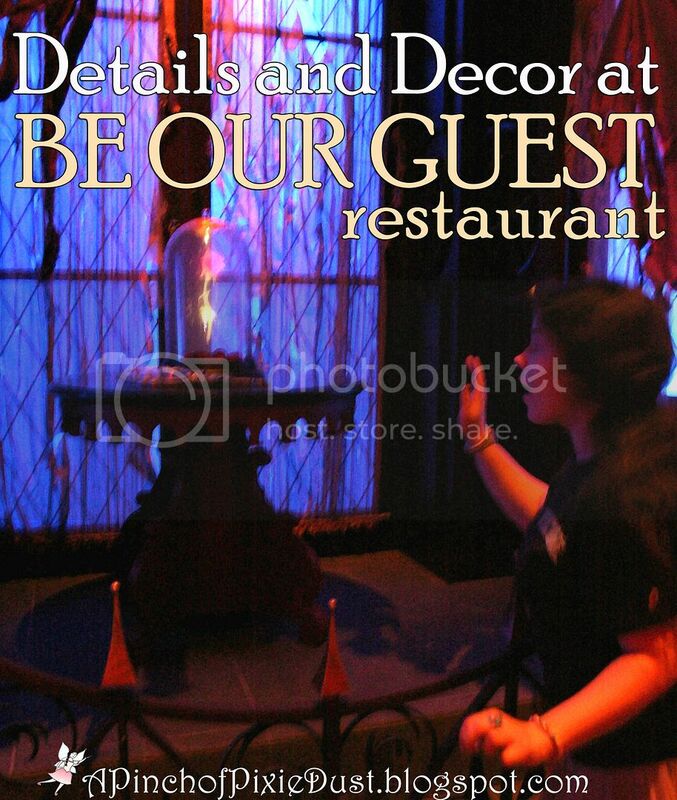 THIS part of the Be Our Guest experience is super cool. 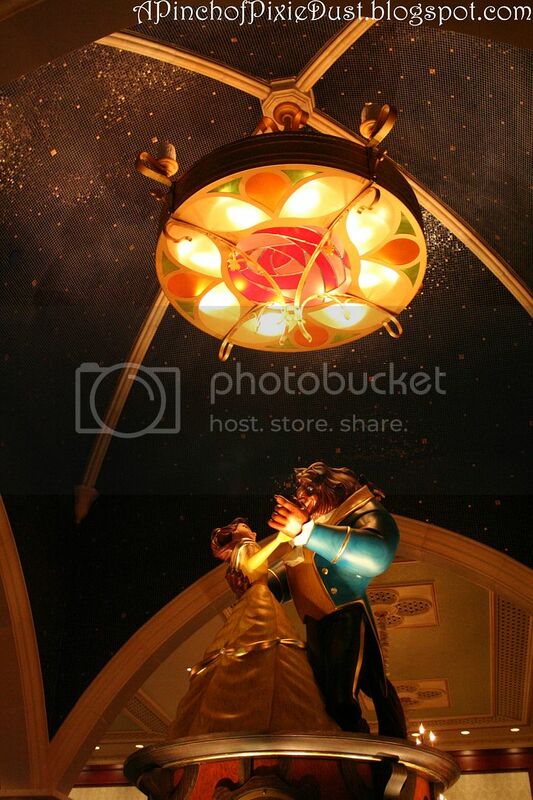 Your waiter finds you magically using the magic rose that you put on your table. 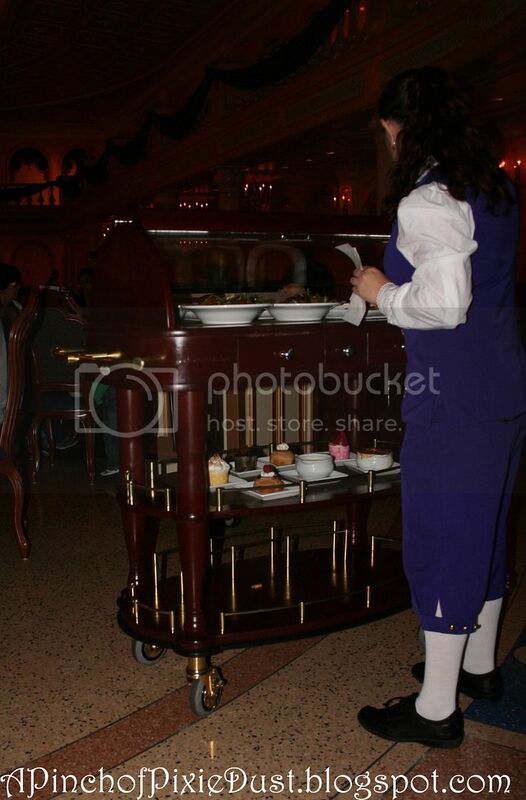 All the food comes to you on one of these awesome carts. The hot items are up top, and on the bottom shelves you can see the soups and desserts! 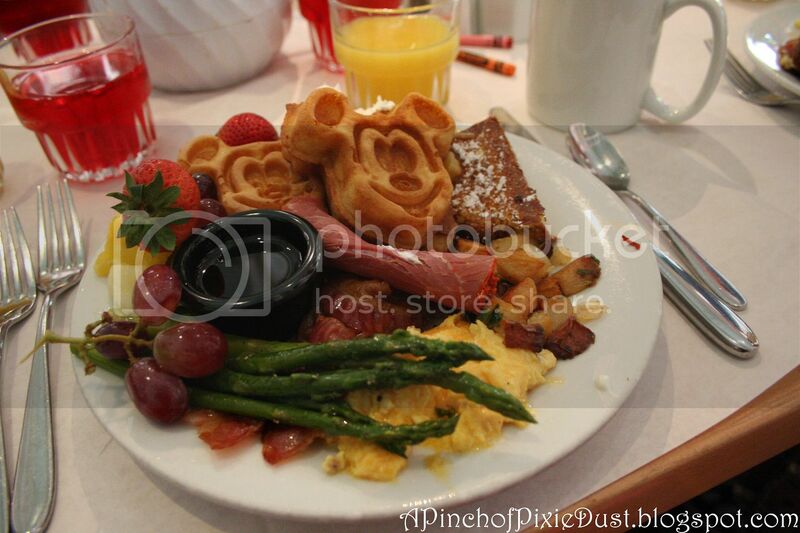 With all the excitement over the new space, it was hard to pay attention to what I ate! 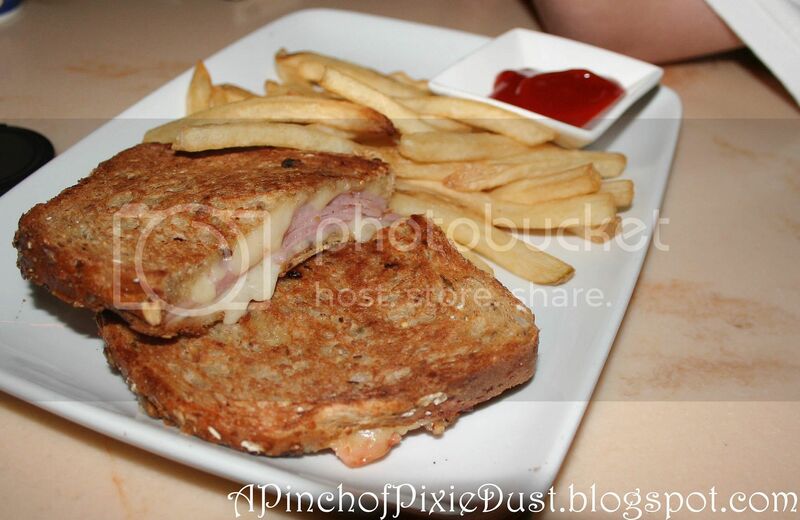 I split the croque monsieur with Mama Snob. It was very tasty! It took me about five tries to get a photo that wasn't entirely blurry - the light in here is SO LOW! 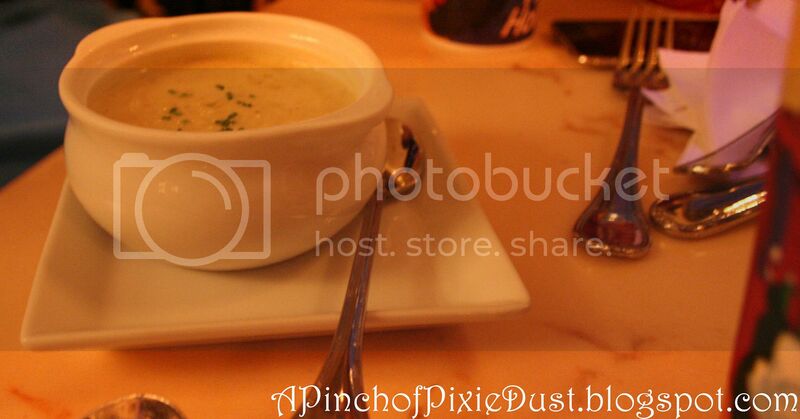 This was the potato leek soup...nice, but a little bit chunky. 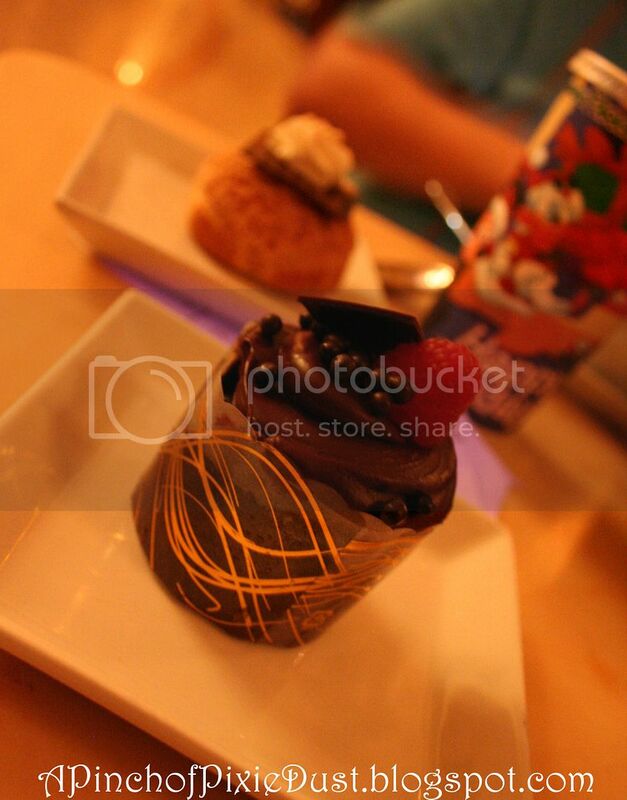 The chocolate cupcake and cream puff I've already talked about...they were lovely. 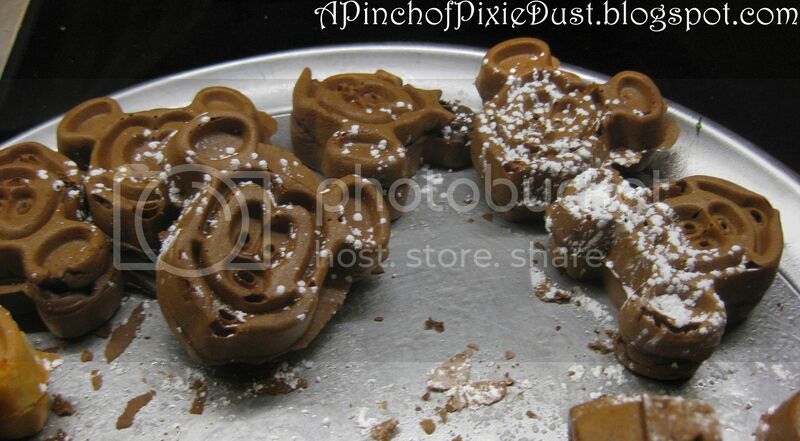 That ganache! 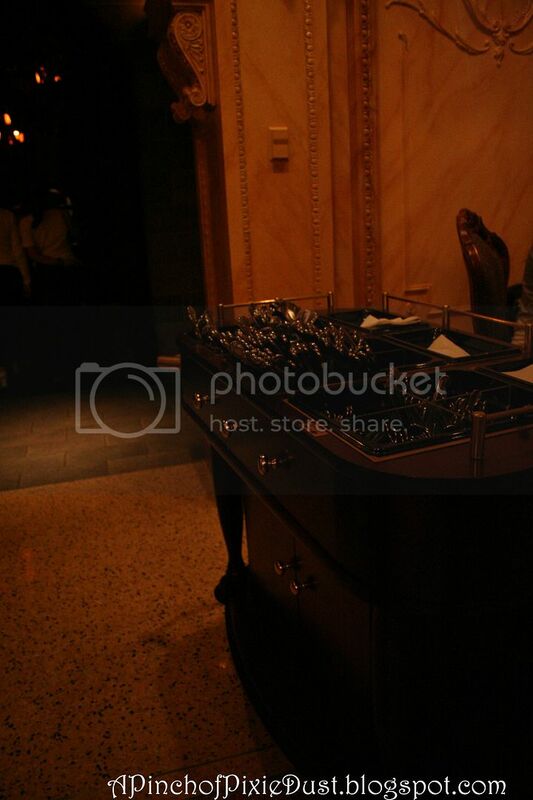 The drinks (at lunch at least) are self serve - every seating room has its own soda station wall. So we've covered the ballroom and the food. 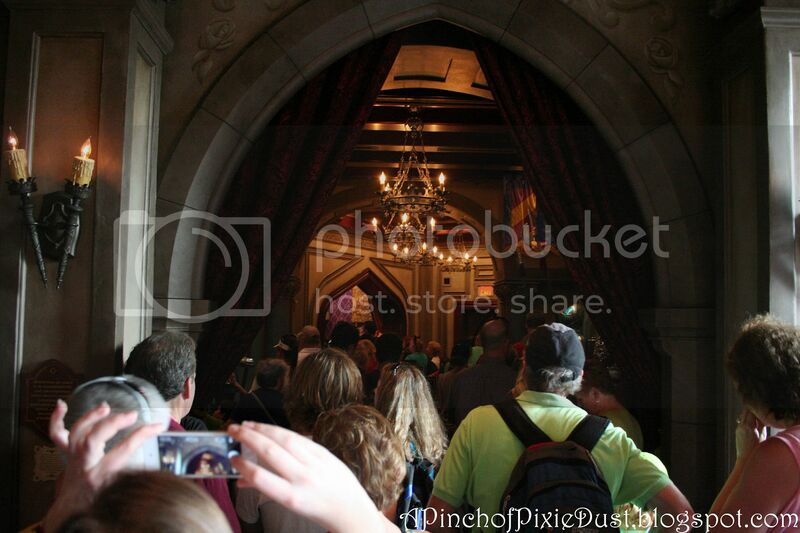 But there are still TWO MORE rooms in the castle to discover! ...like the WEST WING! This is even darker than the ballroom, but in spite of the beast growling overhead every so often, it's a little less loud and echo-y and crowded than the main ballroom. 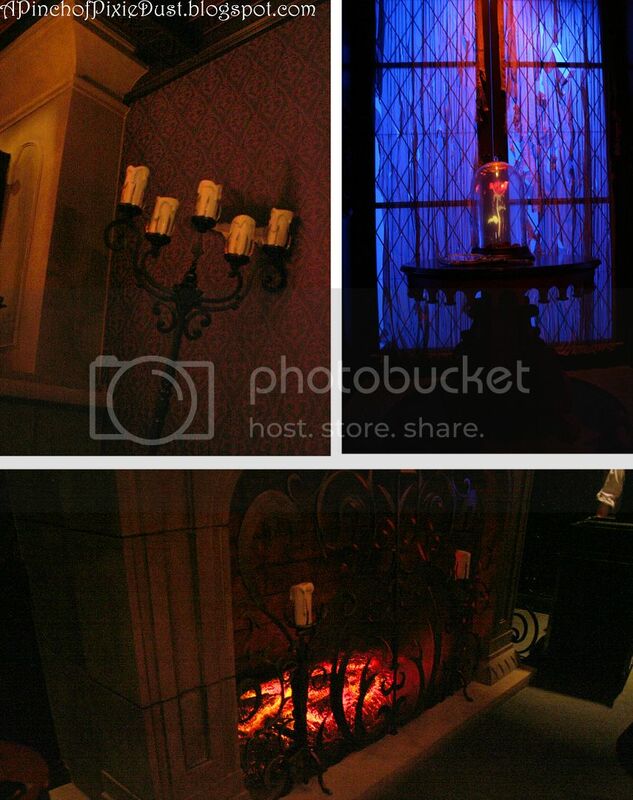 I love the glowing embers in the fireplace - and it looks like the Beast knocked over that candelabra. But the rose is safe and sound! 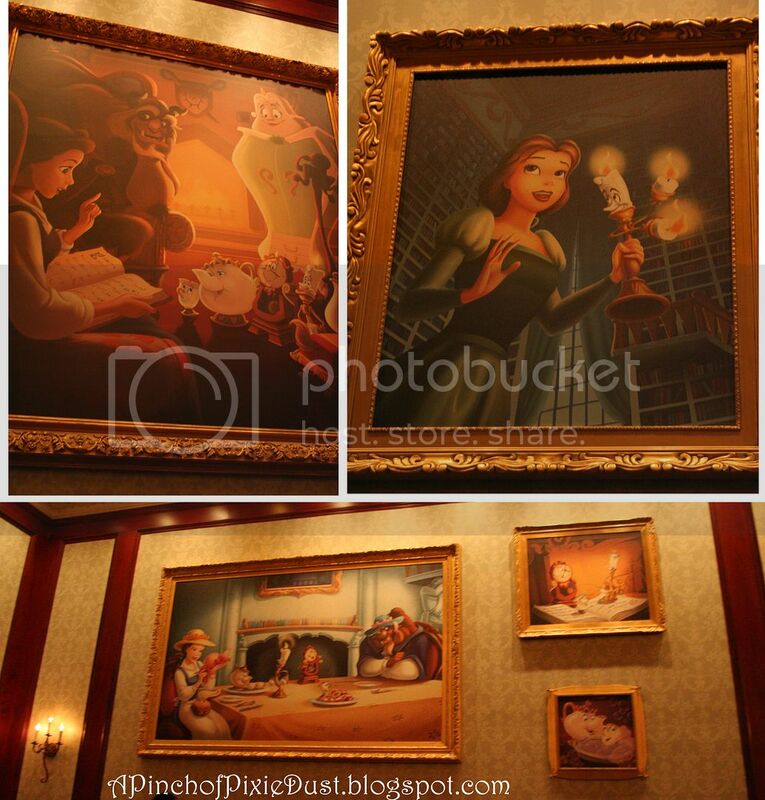 This room feels like Belle and the Beast's portrait gallery - there are paintings and tapestries covering the walls with scenes from the castle, and OF COURSE there's that lovely life-size spinning Belle and the Beast in the center! 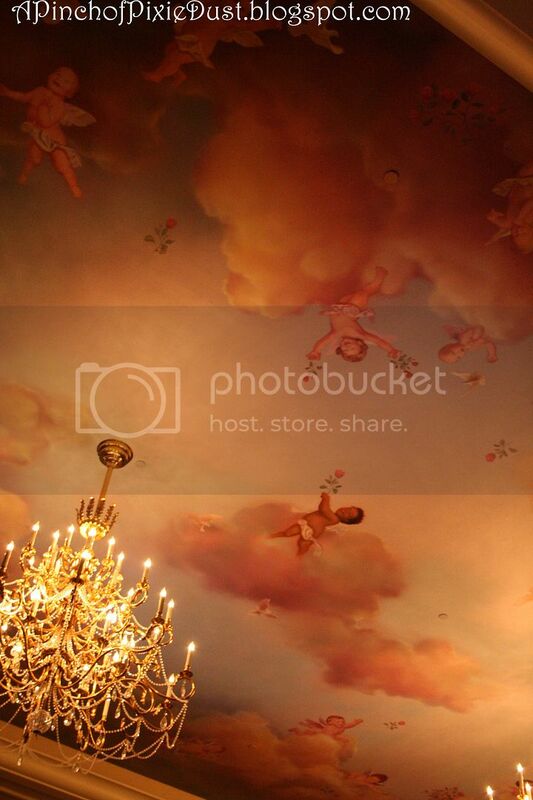 I'm not sure if this room is officially called the Rose Room, but if it's not, it should be! Another main attraction in this space is the PAINTINGS! 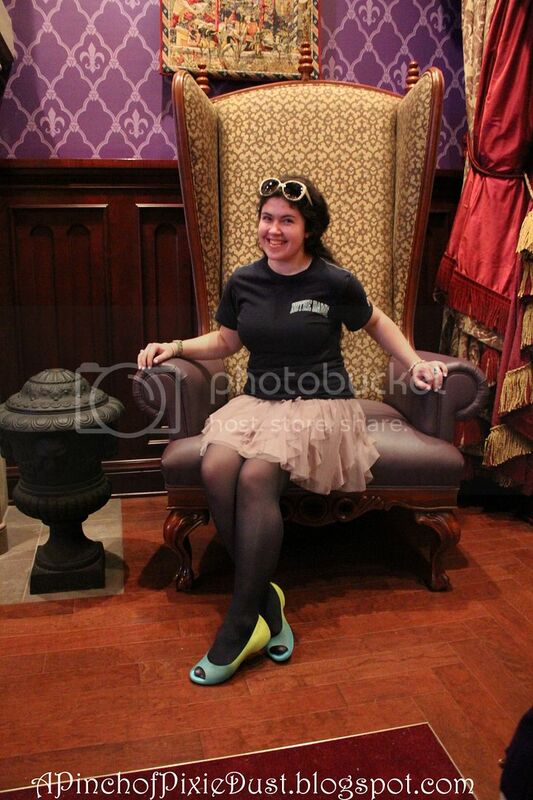 Here is some of the Disney magic I was missing, although it is pretty blatantly princess-y. But I don't care. I LIKE IT. 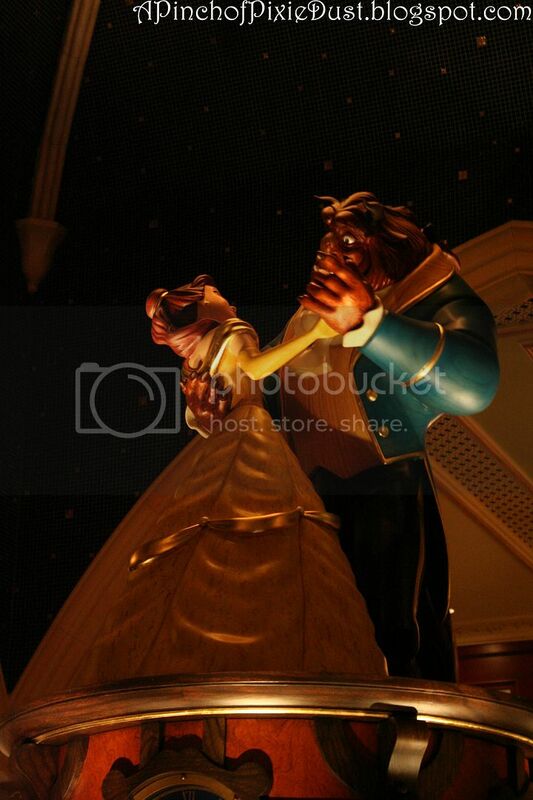 I love that picture of Belle in her library! And the Beast in the bottom hat appears to be playing dress-up. 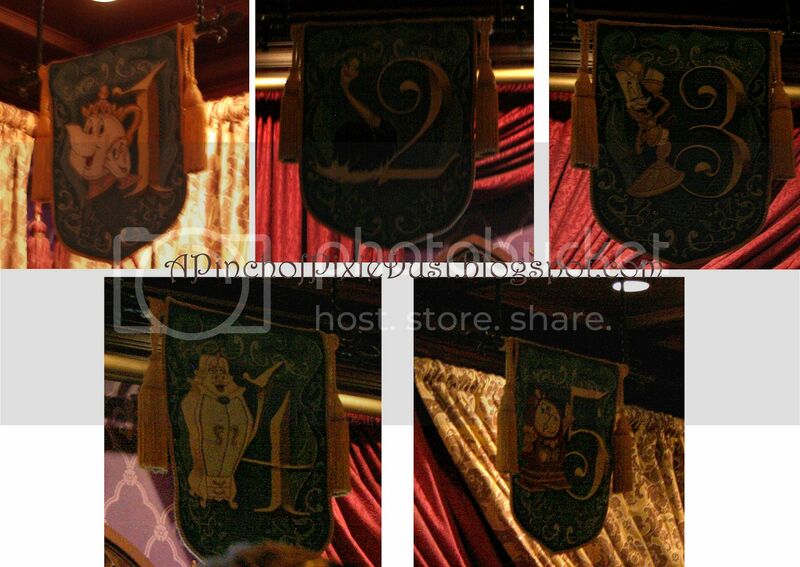 Possibly my favorite tapestry...I'm so glad the Belle in these portraits is the classic/old-school Belle rather than the modern re-design! 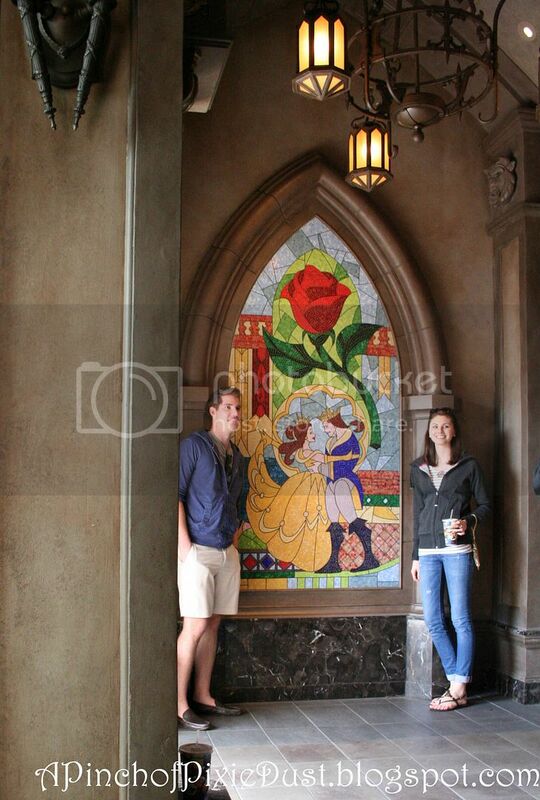 Overall, I loved Be Our Guest. Just standing in that ballroom for the first time made me feel like I had stepped into the movie - I couldn't stop grinning. Although it would be nice to go back another time when it's not so crowded. That may not happen for a few years though - I'll have to wait for the novelty to wear off, if it ever does! Or maybe I'll just have to wait until I strike it rich...wouldn't it be awesome to hire out the whole restaurant and have your wedding reception in the ballroom??? Ahhhh...I can't even think about it, it would be way too epic. But hey, a girl can dream!